The Echo is a hands-free speaker that you control with your voice. 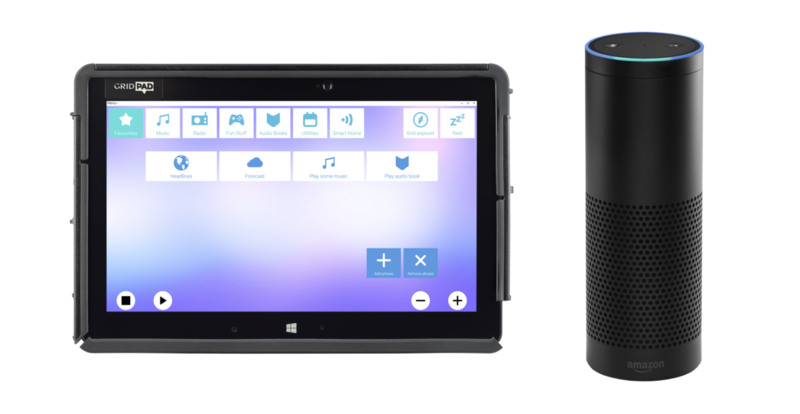 By bringing Amazon’s Echo functionality to our Grid software, you can access a whole new range of interactive features to make life easier. 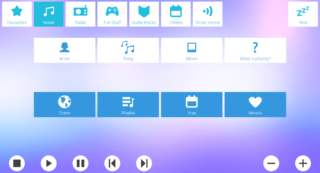 Control your smart home devices, listen to (almost) any song you can think of, hear the latest news, play games, ask questions and have fun! 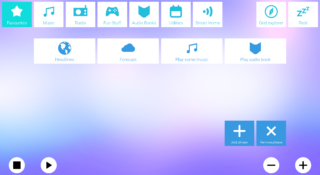 Store your favourite commands on this home grid. Get Alexa (the voice of the Echo) to give you a run down of the day’s top news stories, update you with the daily weather forecast and ask her to play your favourite song. Integrate your smart home devices and get Alexa to turn on the TV, dim the lights or adjust your heating. Alexa can also set your morning alarm, set timers and tell you the time and date. Find music to suit your mood and put together lists of your favourite artists. 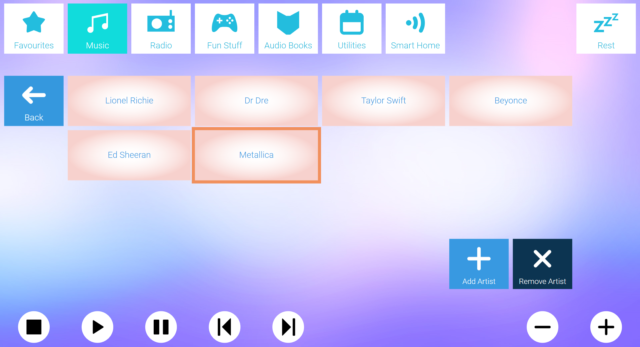 You can also relax with your favourite radio stations. 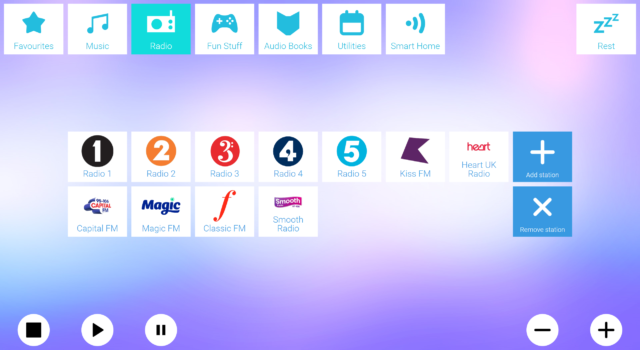 Play the top stations and quickly edit the list to suit you. Link up your audible account and Alexa will read your audio books to you. You can also have some fun with Alexa by playing games, telling jokes and discovering her hidden wit! 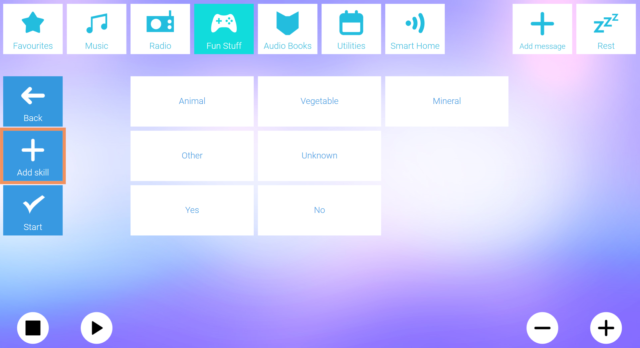 The Amazon Echo grid set is easy to edit and personalise. The grid set has been created using word lists, so you can quickly add your own commands for Alexa to each grid. There is some initial set up required using the Alexa app before you get started, where you will need to connect to the Echo to the WiFi and update your preferences. 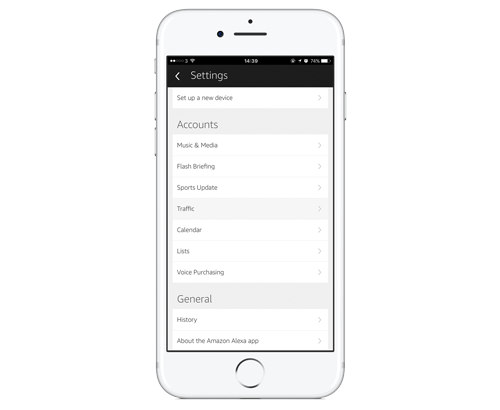 This includes selecting the news service you want to use for your headlines, linking your Spotify or Amazon music account and Google calendar, setting default units (°C/°F) and synchronising your smart home devices. Most of the grids can be edited using the add and remove commands. You can also change the order that your commands appear in by editing the word list from the menu bar. Your Echo can be customised with additional skills. 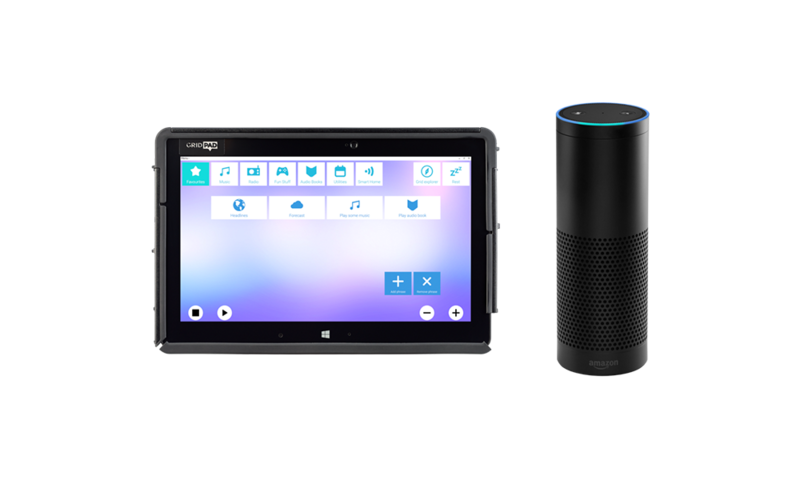 These are similar to apps and you can browse them online or in the Skills section of the Alexa App. Once you find a skill you like, you will need to enable it through the app or via voice command – you can create a command for this and add it to your grid set. 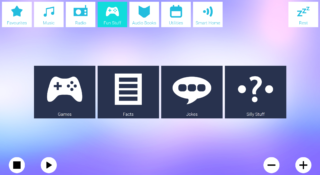 Some skills may also require further commands (such as the 20 Questions skill, which can be found inside the Games category of the Fun stuff grid). Grid 3 is a complete platform for communication allowing you to speak, text, email, browse the web and control the world around you. 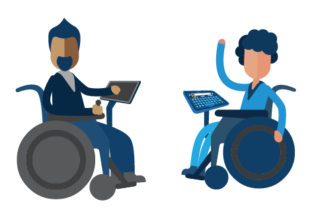 Grid 3 supports a huge number of access methods to make assistive communication centered on your needs. Download Grid 3 now for a full 60-day trial. You can try the full suite of grid sets to find out what Grid 3 can do for you.